On April 19th, 2018, members of the SLO Peace Coalition entered the Cal Poly Career Fair with the intent of peacefully bringing a message about war profiteers to Raytheon’s booth. Raytheon creates many of the weapons used in lethal and illegal killings of innocent civilians across the world. Their employees, many of whom are Cal Poly graduates, make a killing on killing. Just last month, over 50 of Raytheon’s Tomahawk missiles were dropped on Syria by President Trump. The SLO Peace Coalition sought to criticize and highlight Raytheon’s role in the war economy, and the billions of dollars spent on war and militarism instead of education, housing, and healthcare. The nonviolent, song-based protest lasted about 15 minutes; the students then left, peacefully, of their own accord, without ever being asked to leave. About two weeks after the protest, members of the SLO Peace Coalition received notification from Cal Poly administration that they had violated the University’s Student Code of Conduct, and were under investigation with sanctions pending. This is the same public university system which, barely more than a week earlier, defended another student’s “free speech” right to wear blackface. So why the disproportionate response to these peaceful protesters? We certainly don’t think it’s a coincidence that retired Raytheon CEO William H. Swanson is chairman of the Cal Poly Foundation, and has donated $10 million to the university’s golf program. For a public university—or, frankly, any institution—to defend the interests of a multi-millionaire war profiteer over the free speech of students who were nonviolently calling for peace is appalling. 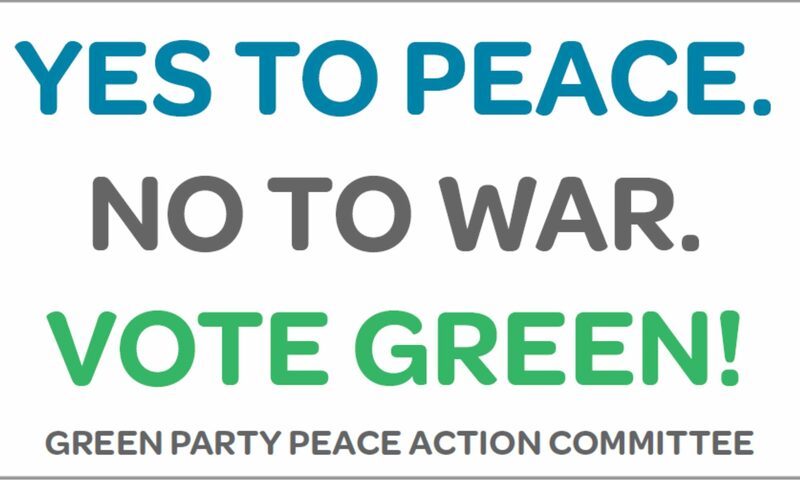 The SLO Peace Coalition is standing up to the war machine. They have been engaged in organizing a campaign to divest CalPoly from war, and move its investments into life-affirming solutions for our own communities. This latest action shows how CalPoly values the profits of war over democracy and free speech. We in the Divest from the War Machine Coalition stand with the students of the SLO Peace Coalition and defend their right to nonviolently protest for peace. Sign the petition demanding that CalPoly drop their investigation of these student activists. And then send this tweet to the CalPoly President asking why he is allowing students to beinvestigated for nonviolent protest.